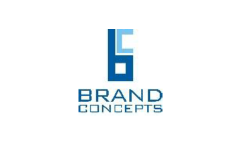 Business description - Brand Concepts is a premier resource for licensed fashion and lifestyle brands in category - travel gears, bags and accessories. The company claims to be a leader in the category for many reasons–design, quality and knowledge of the product based on its lengthy experience. The company prides itself on making great products at a great price, and rises to the challenge of helping retailers meet their margins. Within Brand Concepts portfolio are some of the international and domestic top travel gears, bags and accessories licenses, which the licensee brings to life through its creativity, fashion intelligence and deep research to establish the DNA of the license, which shines in the company's licensed character segment of the business. It represents a wide mix of International and domestic brands, including but not limited to Tommy Hilfiger, HEAD, AND and Global Desi. It has exclusive franchise of Tommy Hilfiger and Trademark licenses of HEAD, AND and Global Desi. In addition to the licensed brands, it has also launched two of own brands i.e. Sugarush (ladies hand bags) and The Vertical (backpacks). Brand Concepts IPO allotment status is now available on Bigshare Services' website. Click on this link to get allotment status. Is it good to apply?